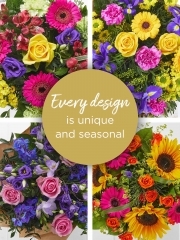 Plants are equally as lovely as flowers so if you’re looking for something a little different then you’ve come to the right place as Aberdeen flowers not only provides gorgeous floral designs but we also have lovely plants on offer. Everything the florists in Aberdeen work with have been cultivated and imported all the way from Holland. Holland is the western region of the Netherlands which has gained worldwide acclaim for cultivating some of the finest flowers in the world and we can wholeheartedly agree with this fact. Not only are our flowers and plants of premium quality but they are also always fresh as we receive several flower deliveries from our Dutch cultivators a week. This way all our flowers and plants are always ready to be used. When it comes to our plants, we have a lovely little selection for you including phalaenopsis orchids in a vibrant pink as well as little planted basket arrangements and rose teacup arrangements. Plants are a lovely alternative for flowers as they last longer due to being planted and are ideal for loved ones who enjoy looking after plants. Plants, like flowers, are perfect for any and all occasions from house warming occasions to get well soon events all the way to birthdays and anniversaries and everything else in between. For any further queries regarding any of our flowers, plants or other services please do not hesitate to get in touch. 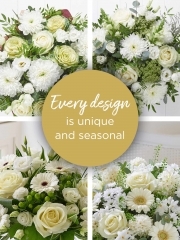 You are able to get in touch with Aberdeen flowers either by phone or email as there is always a team member readily available to answer any and all of your queries. We are always more than happy to hear from you as we value what you have to say and take any criticism and feedback as an opportunity to better our services. Not only are there beautiful flowers and plants available at Aberdeen flowers but we also have a handy gifts range on offer. We hope that these gifts we have on offer can make your recipient feel that extra bit special. These gifts can either be ordered on their own or as a complementary gift alongside a beautiful flower or plant. This gifts range includes items such as luxurious chocolates and truffles which simply melt in your mouth, an ideal little treat for a loved one with a sweet tooth. There are adorable teddy bears in different colours and balloons on offer as well. The florists can even arrange balloon bouquets for you if you so wish it. Our balloon bouquets typically include three solid colour balloons and three with a fitting message for your specific occasion, all filled with helium. Then we also have a selection of champagnes and wines on offer. We have red, rose and white wines and several different champagnes. As both drinks are considered celebratory, they are virtually perfect for any and all occasions. Whether you need a bottle of bubbly for an anniversary or a bottle of red to accompany a romantic meal for two or any other reason, both beverages are a lovely finishing touch for such occasions. Once your full order has been placed, Aberdeen flowers offer several delivery services so you don’t have to worry about delivering your orders. Additionally, distance is not a problem for us as we are part of an international network of florists so we can ensure your flowers are delivered not only locally but all over the UK as well as abroad to over 140 different countries. No matter what you’re after, we will always do our absolute best to fulfil all of your requests as you are our number one priority.